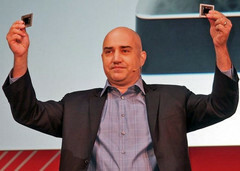 When Chris Hook first announced he was leaving AMD, many analysts speculated that he could join Intel and his long-time partner Raja Koduri, who has been working for Intel since late 2017. Hook recently confirmed these rumors and explained he is starting a new marketing leadership role at Intel in Santa Clara. The two former AMD gurus will be working on the Arctic Sound and Jupiter Sound discrete GPUs with which Intel is planning to take on AMD and Nvidia. A few weeks ago, AMD’s head of global GPU marketing Chris Hook was announcing that he would leave the company by the end of April. Hook, did not provide any information regarding his reasons or what he would do next, so analysts started to speculate on possible outcomes. Knowing that Intel is already hiring prominent figures in the IT industry for their projects involving discrete GPUs among others, and former AMD GPU lead architect Raja Koduri had been already snagged by Intel in late 2017, it was only natural to conclude that Hook is going to join Intel himself. Chris recently confirmed the rumors with an official announcement made via his Facebook account. I’m exhilarated and energized to be starting a new marketing leadership role at Intel in Santa Clara, CA. Intel is a company I’ve long admired and is without a doubt the finest silicon engineering company in the world. It also has a rich history of processor innovation dating back to the Intel 4004, which was released the year I was born. It has an equally rich history in marketing innovation, having succeeded what was once the unthinkable – turning what started as an unassuming 16-pin black ceramic integrated circuit into a household name and notable consumer brand. As many of you know, it was recently announced that Intel is embarking on a journey to expand its leading position in integrated graphics for PC with high-end discrete graphics solutions for a broad range of computing segments, and will be growing its technology portfolio across computing, graphics, media, imaging and machine intelligence for clients and data centers, AI, and edge computing. That’s a pretty exciting journey, and one I personally want to be part of. So starting tomorrow, I’ll be assuming a new role in which I’ll be driving the marketing strategy for visual technologies and upcoming discrete graphics products. I’m also excited to meet the Intel team. The folks I’ve met there so far are the best in the world at what they do; they’re laser-smart and driven to win. And there are also a few good Intel folks that I’ve had the privilege of working with in the past at AMD, world-class engineering leaders Ari Rauch, Raja Koduri and Jim Keller, who at multiple points in their careers have architected and engineered some of the most respected software and silicon in history. So here’s to the future – one with competition, choice and incredible technology. The leaked information about Intel’s Arctic Sound and Jupiter Sound discrete GPU projects raised quite a few eyebrows, but left many analysts doubting the success of such endeavors. The fact that Raja Koduri is leading these projects seemed like it was not enough to really legitimize them. However, now that long time partners Koduri and Hook are working together, and even CPU architect Jim Keller left AMD for Intel, it looks like Intel is definitely planning a strong counterattack against AMD’s Ryzen processors and even enter the discrete GPU market once again, with a big bang this time. Apparently, many AMD employees are still discontent with the financial problems of the company, even if the latest earnings reports are favorable, and could jump ships if a better offer comes along. Since Intel is not limited by such problems, it may yet snag some more AMD employees for the discrete GPU projects and the upcoming Ocean Cove CPUs.